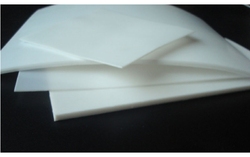 PTFE Skived Sheets are chemical resistant, super slippery and can be used at extreme temperatures. Skived sheets have easy application and have low maintenance cost. as sheets are having greater dielectric strength, they are used in electrical applications where high temperature service rating and superior electrical properties are desired. 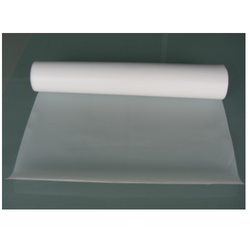 Owing to vast experience in these fields, we offer high-quality PTFE Skive Sheets. These products are manufactured from high-quality raw materials. These raw materials are procured from trusted vendors. These products are widely used in designing circuit boards, pumps, and valves. These products are known for their excellent insulating and chemical resistance properties. We believe in effective and timely delivery of these products once ordered by our valuable customers. Looking for PTFE Skive Sheets ?